A meal doesn't have to include meat to provide you with complete protein sources. Take the guesswork out of mealtime with this infographic that makes choosing complementary proteins as easy as ABC! Animal sources of protein are referred to as "complete proteins." 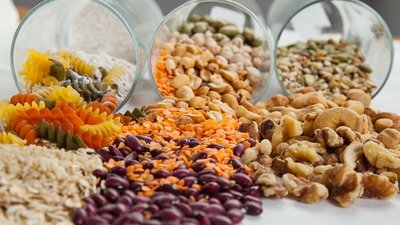 Plant-based proteins, on the other hand, are incomplete, because they lack one or more essential amino acids. A meal (or diet) void of complete proteins may cause your health and performance to suffer. Fortunately, you can make certain you get each essential amino acid by pairing plant-based sources of protein together. These are referred to as "complementary proteins." Check out the infographic below to learn which foods you can pair in order to hit your amino-acid quota!